Welcome to my website. We are very much a team here at Nicola Wilson Eventing and I am so grateful to all those who help make everything possible. 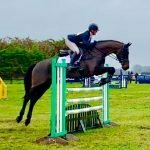 Olympic Event Rider, Nicola Wilson is based in Northallerton, North Yorkshire. 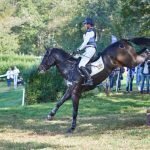 She was ranked 2nd in the World Eventing Rankings August/September 2017, a milestone year that also saw Nicola and ‘Bulana’ take Team Gold and Individual Bronze at the Strzegom European Championships. Nicola has been part of the British Senior Team since 2009 on 4 different horses and has represented Britain at the Olympic Games, World Games and European Championships winning team medals at them all including Team Silver at The London Olympics 2012 on her legendary cross-country partner, Opposition Buzz, who has recently been inducted into the British Horse Society’s Equestrian Hall. 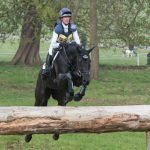 Nicola has had numerous top ten 4* placings at Badminton, Burghley, Lexington and Pau CCI**** on different horses and has had wins at CCI*** riding Bulana and Annie Clover. She has won the Scottish Open Championships no fewer than four occasions and was crowned British National Champion in 2015. All of this would not of been possible without her fantastic owners, support team around her and of course the horses…..
A New Year, New Dreams….